World class air conditioning solutions from Daikin. Efficient, Reliable & Robust! 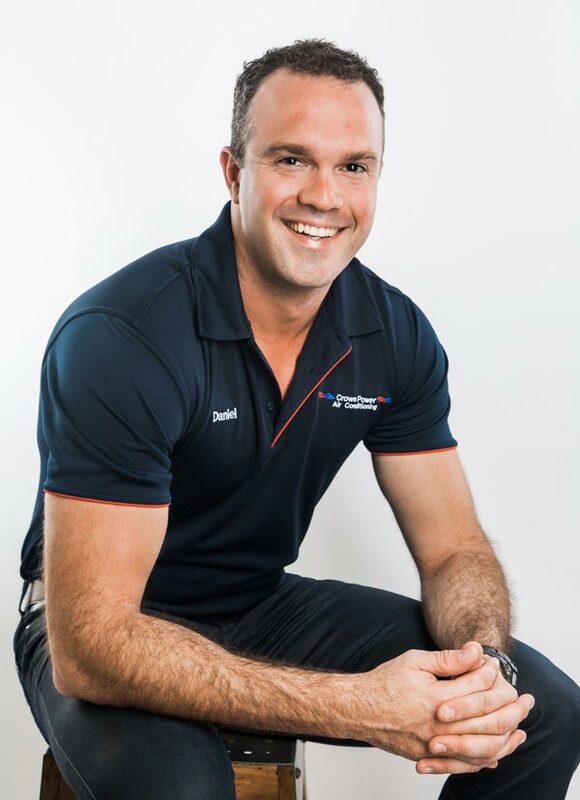 A Brisbane summer can be almost intolerable without a quality air conditioning system to provide relief from the harsh heat for your home or business. To ensure you have the best solution, insist on a Daikin Air Conditioner. If you’re considering a new air conditioning system in your home or business, you are sure to be looking for efficiency, value and reliability and you ought to accept nothing less than market leading quality from an internationally recognised brand. Daikin is a world leader in air conditioning systems and Crown Power is proud to be an authorised Daikin air conditioning installer. Daikin manufacture some of the most robust and quality air conditioning systems on the market and their products are renowned for their efficiency, reliability and longevity. If you’ve been searching online for a local Brisbane Daikin installer with terms like, Daikin Brisbane, Daikin Air Conditioning Brisbane, Daikin Air Conditioner Brisbane or Daikin Air Conditioners Brisbane, then look no further than Crown Power. Talk to one of our team members today and we’ll provide the best advice to help you select the right Daikin air conditioner system. Our team of Daikin Brisbane specialists here at Crown Power have had a wealth of experience installing Daikin products and have an intricate knowledge of all our Daikin products. This allows us to effectively retrofit Daikin systems to older homes or business, as well as installing new Daikin air conditioners into new home or business designs. There are many benefits that come with Daikin products and these include unmatched energy efficiency, which results in a drastic reduction in running costs for you, as well as a superior operating life when compared to other brands. As a testament to the quality of these products, each one comes with an extensive five-year warranty. At Crown Power, we are of the firm belief that there is no substitute for quality and this is why we deal primarily in Daikin products as a fully authorised dealer. In fact, Daikin air conditioning systems are amongst Australia’s most awarded, with an independent survey conducted by Canstar Blue finding that a majority of consumers favour Daikin products above all others. There are many reasons for this and each one stems from Daikin’s unrivalled standard of quality and unmatched attention to detail. The Daikin split systems that we install here at Crown Power are the only ones that have received a ‘blue butterfly,’ which signifies its approval as a part of National Asthma Council Australia’s Sensitive Choice campaign and is an indication of Daikin’s superior quality and design. There are a multitude of advantages that Daikin air conditioners offer and these extend to electronic features including night quiet mode and advanced inverter technology. In addition this, your Daikin air conditioner will provide you with significant savings in the long-term through unrivalled energy efficiency. Daikin air conditioning systems incorporate state of the art technology such as intelligent eye sensors, computer designed air control surfaces and proprietary inverter technology – all of which contribute to an efficient and extremely effective air conditioning system. Being an internationally recognised name in air conditioning quality, you can be assured that your Brisbane Daikin air conditioning system is amongst the best in the world. Due to their advanced technology and highly regarded quality, you will receive a 5 year warranty with your Daikin unit that covers the machine along with a 5 year warranty on the installation that Crown Power offers. 1/ Reverse Cycle Daikin Air Conditioner – the Daikin US7, which is the most energy efficient of its kind in Australia, with a seven star super efficiency rating and features such as auto self-cleaning and Coanda air flow effect for superior air circulation. 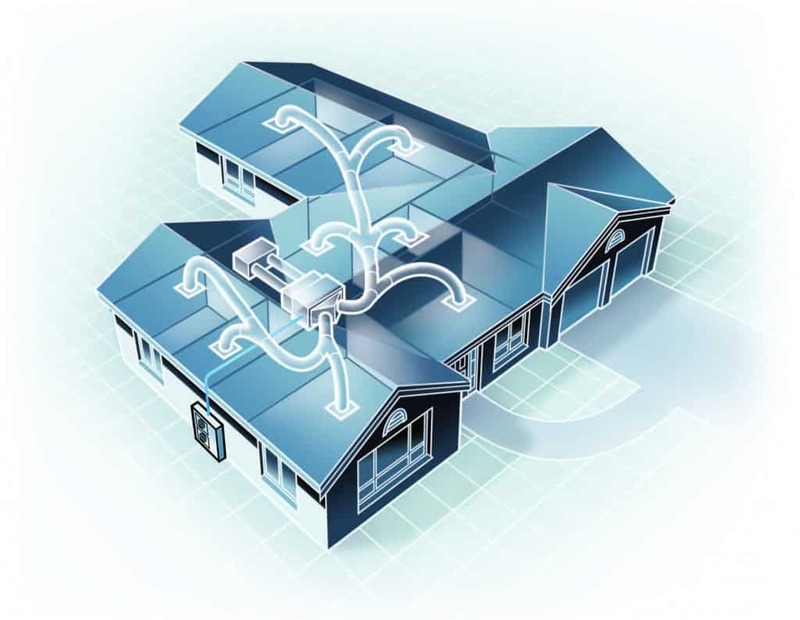 In addition Daikin’s extensive range of split systems, our team here at Crown Power also specialise in installing Daikin’s ducted and multi split air conditioning systems – simply select the model that best suits your needs. Looking for the leaders in Daikin air conditioners Brisbane? Talk to the team at Crown Power today! These units are cost effective and ideal for air conditioning single rooms and the features of a Daikin split system air conditioners include auto operation, wireless LAN and ECONO mode, which decreases the load on the electrical circuit. Daikin split system air conditioners are low profile and boast market-leading energy efficiency and performance. 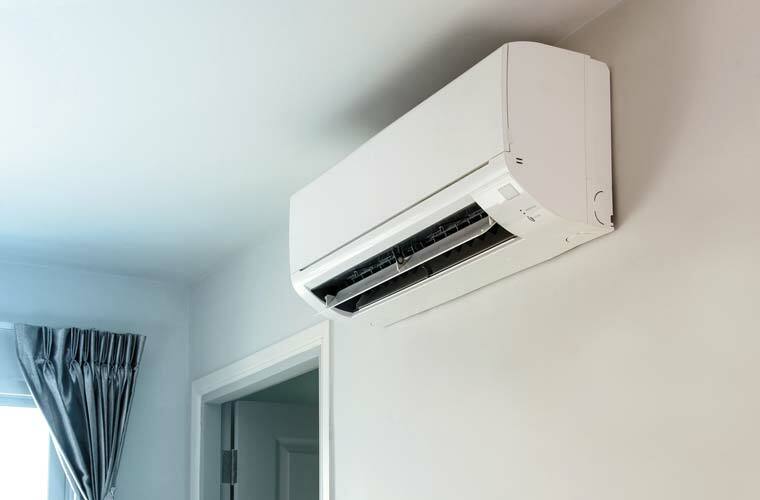 Being some of the most popular air conditioners in Brisbane, the team at Crown Power ensures that all six of Daikin’s split system models are available for installation. Multi split systems – such as the Super Multi NX model – offer an equally impressive range of benefits, which includes the capacity to cool 2-5 rooms with only a single outdoor unit. The indoor units can be controlled individually and dehumidify the room, allowing you to choose the temperature for each room of your home. They also include self-diagnosis for ease of maintenance and are available in reverse cycle and cooling only models, giving you the flexibility to choose based on your needs. This Daikin air conditioning Brisbane solution, is the leading multi split system on the market. Ducted air conditioning systems are ideal for you if you are looking for discreet, air-conditioned comfort through your entire home. 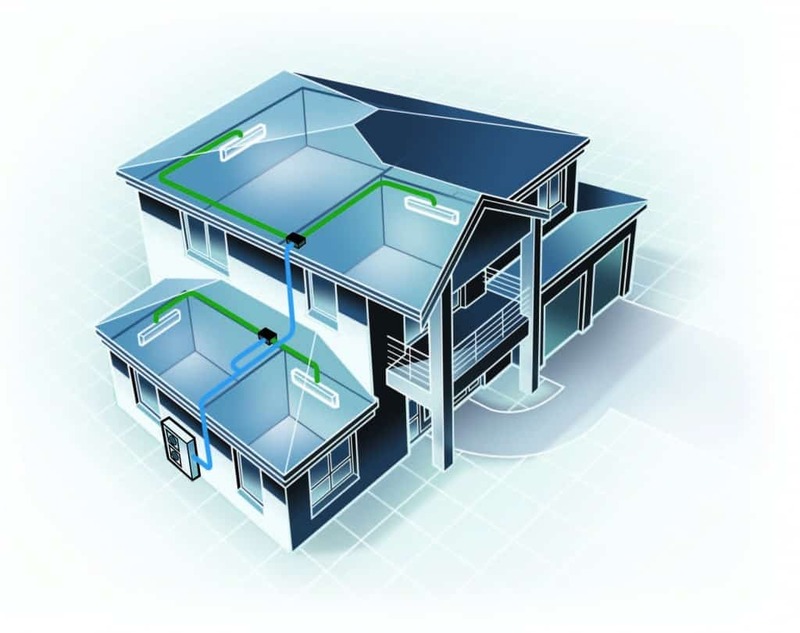 Daikin ducted air conditioning systems offer unique zoning features which enable you to cool or heat specific rooms in your house with flexibility. The ducted systems produced by Daikin boast a compact design with inverter technology performs well in excess of Minimum Energy Performance Standards (MEPS). With so many options available from Daikin, it can often be hard to decide which is the perfect model for you. Here at Crown Power, we have had a great deal of experience installing Daikin products, so we’re well placed to help you decide. 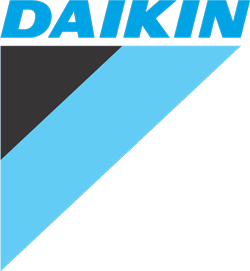 We encourage you to contact us today, through our online form, and arrange a no obligation consultation with one of our Daikin Brisbane specialists. Alternatively, you can call one of our expert teams members with any queries you might have with regard to our Daikin range. #1 When I clean my Daikin air conditioning air filter the filter light stays on, can you help? Once you’ve cleaned the filters of your Daikin air conditioner, reset your unit and the filter light will go off. For wall mounted split systems and floor consoles, you’ll need to find the reset button first, which is located under the grille. If you have a commercial or light commercial Daikin air conditioner, you can find the the reset button on your controller. #2 Where can I purchase a Daikin air conditioning system? We offer an unrivalled range of Brisbane Daikin air conditioning systems right here at Crown Power! We are specialist Brisbane Daikin installers and are fully authorised to deal and install Daikin products. This saves you the hassle of dealing with multiple different companies – we offer all the products and expertise you need, to get you sorted with a brand new Daikin air conditioner. #3 How energy efficient are Daikin air conditioners? Daikin air conditioners are amongst the most energy efficient worldwide. Daikin have conducted considerable research into the factors that make air conditioners energy efficient and have developed leading edge technology such as intelligent eye sensors and computer designed air control surfaces. When coupled with the expert installation services we offer at Crown power, your new Daikin air conditioner will be unrivalled in terms of efficiency. #4 Are Daikin air conditioners reliable and durable? Here at Crown Power, we favour Daikin products for their robust, durable and reliable design. Daikin air conditioners are built to the highest standard of quality and incorporate some of the most innovative technology on the market to provide products that will not only work efficiently to great effect, but will also stand the test of time; after all, an air conditioning system is a costly investment and you are sure to want the most out of yours. #5 What sort of maintenance will my Daikin air conditioner require? As with all air conditioners, your Daikin will need some periodical servicing – particularly with regard to your air filter. We suggest that you clean the air filter when the filter light flashes, although this may vary if your air conditioner is in a dusty or more polluted environment. Being a complex system, however, we recommend that you only undertake relatively minor maintenance tasks – for the more difficult ones, especially issues involving electrical connections, we advise that you contact our team of expert Daikin Brisbane technicians for assistance. #6 Can I buy Daikin from a retailer? Daikin do not deal in the retail market. This is because a quality install is important to Daikin. This is why they only deal with specialist Daikin air conditioning installers such as Crown Power. The fact that a world industry leader such as Daikin trusts Crown Power to deal with there specialist equipment, gives our customers 100% peace of mind that you’re getting a quality machine with a quality installation.